It’s hard to find someone that says no to a carb-heavy plate of fulfillment. Pasta has been around for ages. First as a staple food that kept many mouths fed (from beggars to the elite), now served as budget weekday meals as well as luxury tiny portion creations. Let’s discover the history of pasta and look at popular types of pasta. When one thinks of pasta, one thinks of Italy, but this staple has permeated and found it's place in other countries. Americans eat their mac and cheese (or spaghetti and meatballs) and Germans and Hungarians love their spätzle, In Poland you’ll find pierogi and Greek folks eat orzo. So with all these different versions, who is the original founder of pasta? Truthfully, we’re mostly, but not a hundred percent, sure it’s really the Italians. As read on PBS, the word pasta comes from “paste” — an Italian term used for the water or eggs and flour mixture. Pasta as we know it is a mixture of ground durum wheat and water or eggs (though the add-on of eggs differs even in certain parts of Italy). Durum is used because it’s high in gluten and low in moisture, making it the perfect consistency to form, stretch, press, and shape. Once dried, it can also last a lifetime, which is a priceless trait when food is scarce. Some say pasta is a version of Asian noodles brought to Italy from China. 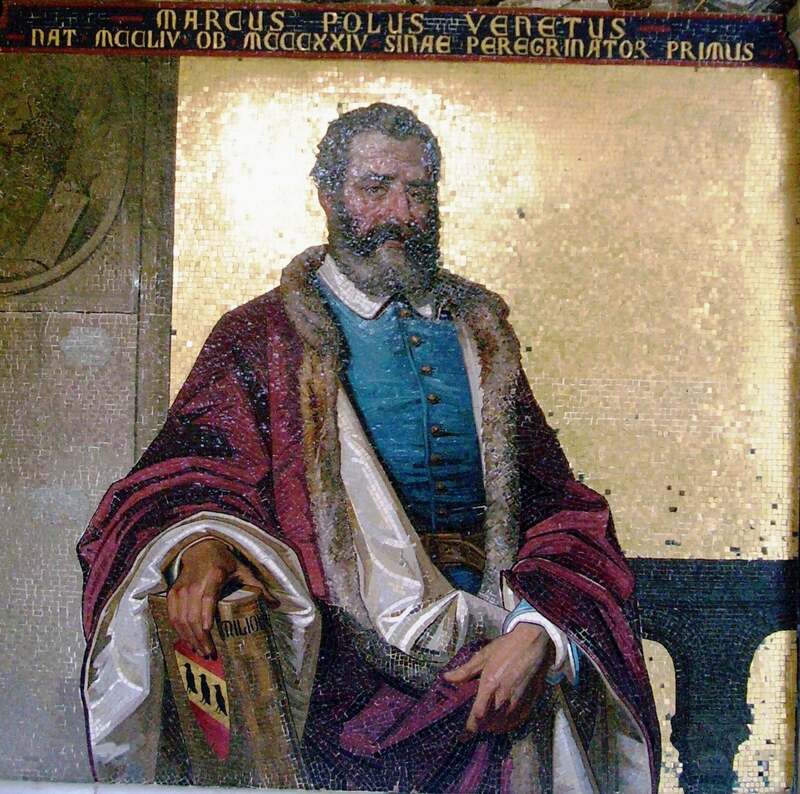 This belief is based on Marco Polo’s travel diary experiences during his exploring in the 13th century. The National Geographic, however, states that this is most likely a myth. Yes, Marco Polo talks about a tree from which “pasta” could be made, but it’s most likely a sago palm that can create starches resembling pasta. Around the same time, someone too saw a soldier from Genoa with a basket of “macaronis” (meaning pasta was already seen in Italy while Polo was still on his adventure overseas). Another theory is that it was the Greek who were responsible for introducing pasta to the inhabitants of Naples, as this city was once a colony of the Greek empire. Most food historians rather believe that pasta became popular in the Middle Ages, as a result of Mediterranean trading. From that time onwards, more and more mentions of different types of pasta appeared. So as far as the history of pasta, no one is entirely sure if pasta traveled the world or is an authentic Italian creation. But at the end of the day, it’s here and we love it. Nowadays we know pasta in all sorts of forms. There are over two hundred ways to serve them. Until the 16th century, the pasta was cooked longer than “al dente” and jazzed up with different ingredients to make the pasta either sweet, savory, or spicy. Lasagna dates back from the 1400s, where it was first referred to as “lasagnare”. International Pasta also writes that vermicelli, or “vermicellai”, was first introduced in the 1800s. In the 17th century people first started using machines to make pasta, which was the start of the pasta industry as we know it. And what about our beloved spaghetti in tomato sauce? That dish was first referred to in 1844. Since then, pasta has evolved immensely. New pasta types are used and mouth-watering recipes with unexpected ingredients are prepared. And let’s not forget about all the healthier “pasta” options, such as zucchini noodles and chickpea pasta. If you’re looking for a pasta that holds your sauce well and want a slightly chewy bite, try orecchiette from Puglia (they’re formed like tiny circular bowls). For carbonara, tagliatelle is a comforting variant to spaghetti (some say it soaks up more sauce). Kids (and adults) get happy about conchiglie, which are shell-shaped noodles. Then there’s also bucatini and pici, which are both slightly thicker versions of spaghetti (bucatini has a hole in the middle). And capellini, which is also called angel-hair pasta and known for it’s short cooking time. Pasta is definitely popular. What kind do you love to eat?